I noticed there are many drivers who never turn on their headlamp at all as there are backlit in their meter gauge and DayLight, I have encounter 2 vehicles on the same day. Guess that is the basic when you drive on the road and what was taught when you went to learn driving, just don't understand why drivers can forget to turn on headlamp. Luckily nowadays many cars come with auto headlight. Even the lower CC Vehicles come with Auto headlamp but most of them just turn it to OFF. I also like you, I high beam them but they like blur sotong and ignore me, some even thought that I want to overtake me and try to block me from overtaking. What a goondu and High EGO Driver! Edited by Benchong05, 14 February 2019 - 10:02 AM. I am at the other extreme end. Always switch on my main headlights, day or night, indoor or outdoor. I even disabled the auto function so daytime will still on. Intention is to increase my car visibility to others. Reason as follow. My car is light silver and had black number plates. During first year i seem to get hit very often esp rear. Car rear ended me, motorbike rear ended me. I thought my car must be very invisible to others so they keep hitting me. So i changed number plate to rear yellow and i always switch on my headlamps. Next 3 years was ok. There are indicators inside the car to indicate that headlight is not on or the high beam/fog lights are on, just that they don't pay attention. Then there's another type who just follow law without any common sense. Once I sat in a colleague's car, it was around 6+pm, heavy rain storm and dark, visibility was very poor. So I ask him, you forgot to switch on your headlights. His reply: 7pm then need to switch on headlamp, now no need. I never dare sit his car anymore. maybe he feel he can see clearly enough. Nowadays DRL too powerful until looks equivalent to headlights. 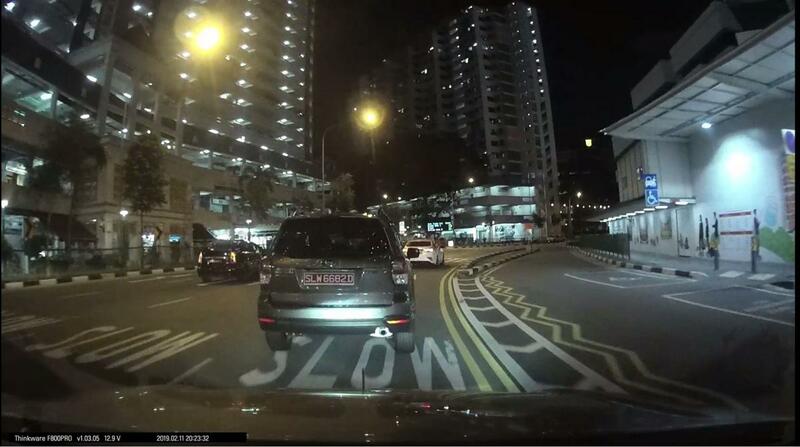 And driver just too blur fark/bochup to notice that surrounding cars all got headlights on. Edited by boonhat_91, 14 February 2019 - 12:23 PM. 9/10 are female drivers . . . . from my observation. I thought is a traffic offence not to switch on the lights from 7pm to 7am? This I must agree. Too many of them are straight dumb. 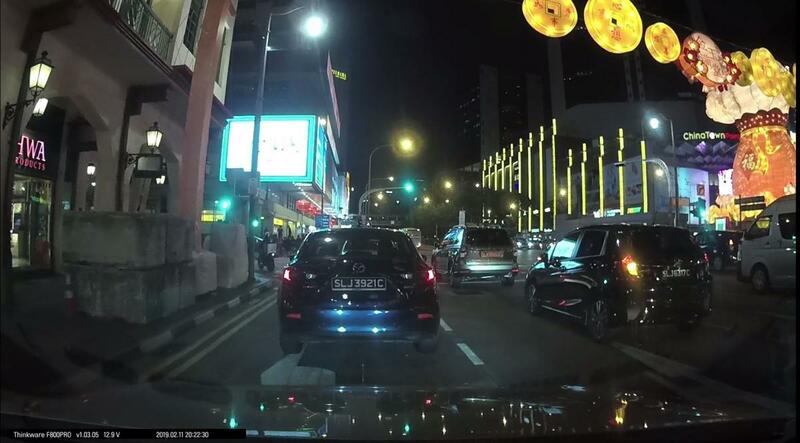 5 out of 10 drivers I have encountered seems to know that they purposely did not switch on their headlights. There was this driver beside me, I just shouted "Bro! ", he immediately turn on his headlights without looking at me. that's why better car have auto light only which cannot be turn off. best is to implement also auto high beam. most cars nowadays got auto console light on whether driving in the day or night, so many drivers may not have noticed that the headlamps are not on since the street may be brightly lit. Last time those old cars if never on the light, the console will be all black. The auto console light is brighter in the day and slightly dimmer (different hue) when the lights are on. Irrespective of the console light, there is (and was in older cars too) indicators inside the console panel to indicate parking(pole lights), low beam and high beam headlight. In one word - plain lazy and dumb drivers. will be awarded for failing to belt up. 103 At night (between 7.00pm and 7.00am) you must drive with your headlights on. the limits of your headlights. I usually turn mine on manually even though the car has auto headlight as I fear that the sensor might fail and I will not have my lights on. Usually I will check against the car in front or the darker patch of the road to know if my lights are on. I usually have both headlights and fog lights on because I would switch the main beams off when I go into the car park as my MSCP design is a bit cuckoo if the headlights are on it will shine into units on the ascending ramp. Fog lights remain on to let drivers know there is a car approaching. Such practice driving with fog lights on OK or not? I know TP will ask me to turn them off if I suay suay bump into one. The reason for this problem is not only DRL. Many occasion i saw are cars without DRL, bcos their instrument cluster panel lights are on, so they didnt notice that there is actually a green indicator of headlights missing. Older days only when u switch on headlights, instrument cluster lights come on, so they will know that headlights not on. Even so, some with older technology can also dont turn on headlights. My opinion is to give them hefty fine to let them learn, talk about this, what about those with highbeam on and didnt even know. I wonder how stupid can these ppl get really.